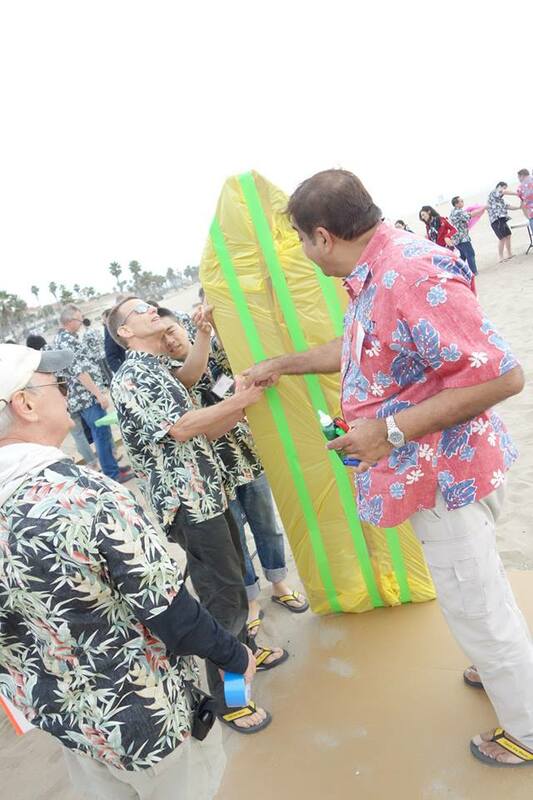 Your team bonds while building a cardboard Surf Board, complete with decorations, a hilarious marketing presentaiton, and a grand-finale race! 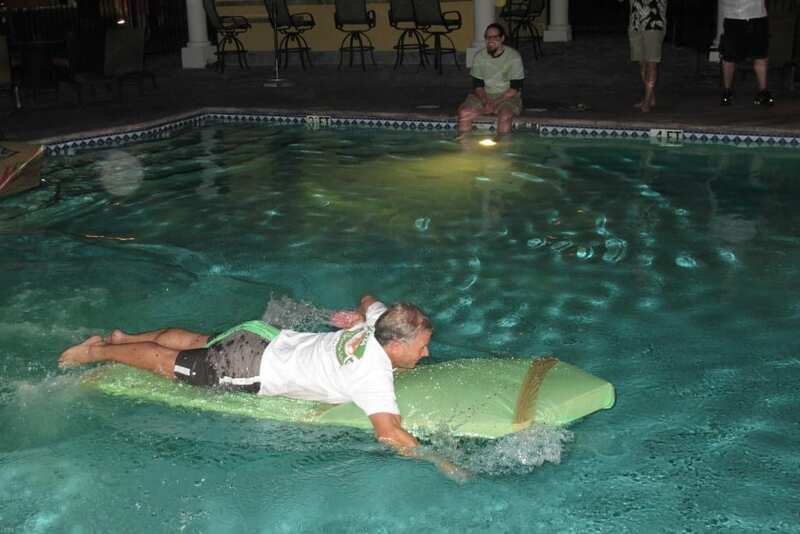 Bonding and Boarding were never so fun! 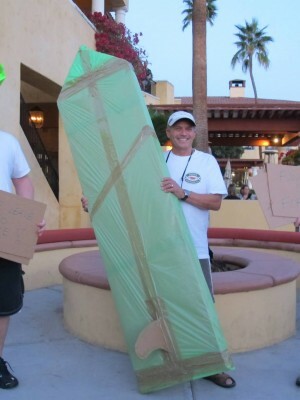 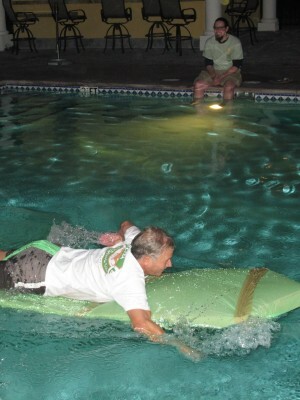 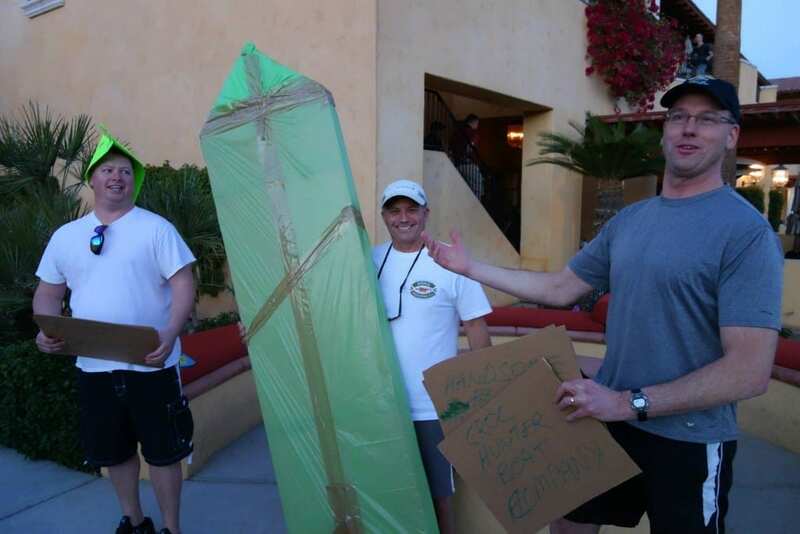 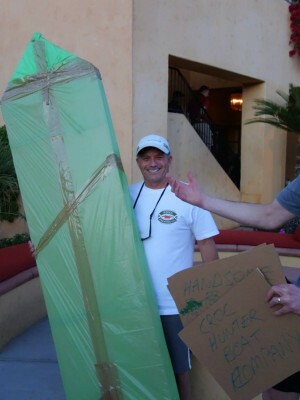 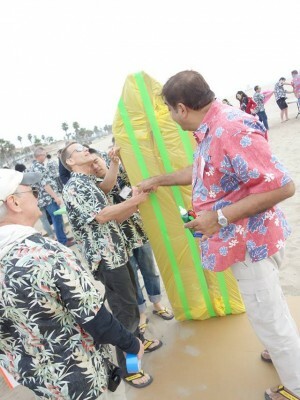 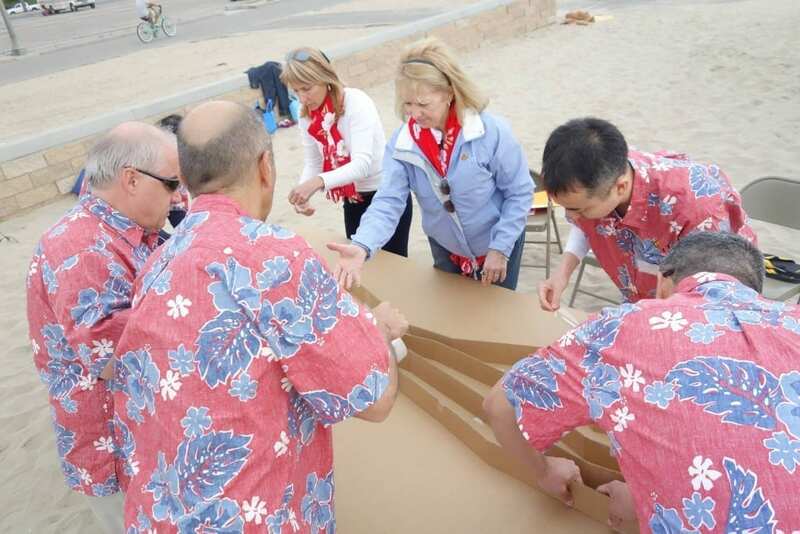 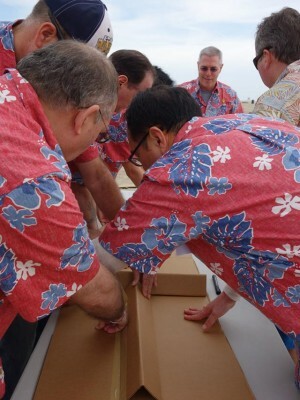 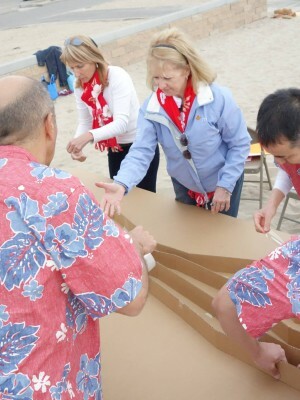 The Card-Board Surfer Challenge is a fun, challenging and hilarious competitive team building activity! 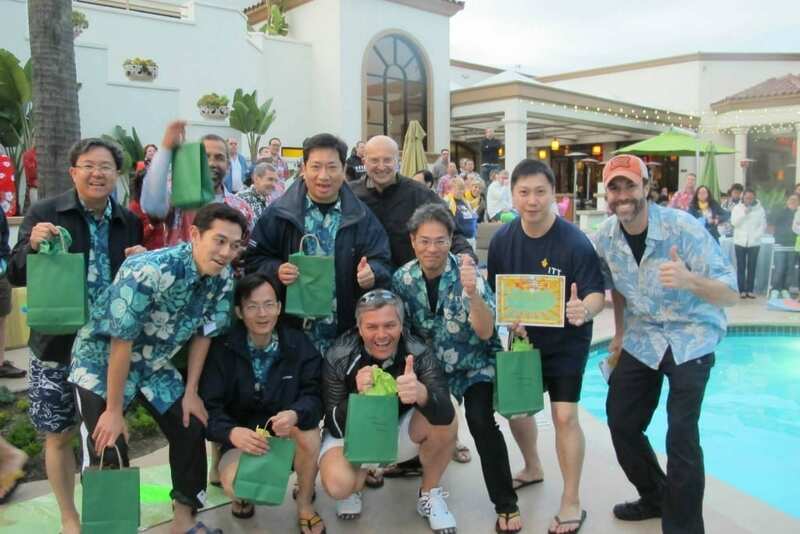 With a tropical “hang-loose” vibe, and this business simulation challenges your team and keeps everyone active, engaged and having fun! 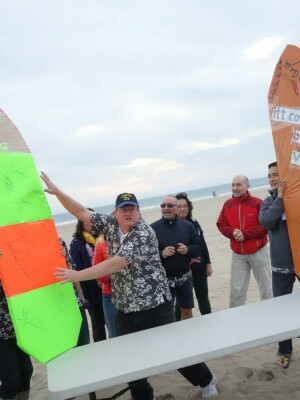 Your professional facilitator starts the day off with a fun ice-breaker that sets playful and engaging tone for the day. 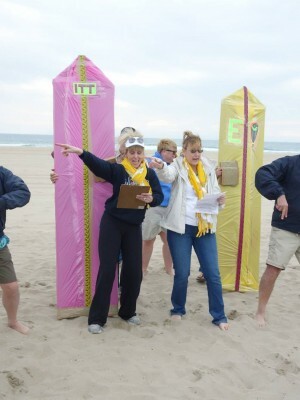 They then work with your team to set intentions for the day which are revisited and reaffirmed at the end of the day, including any special messaging, themes, or other ‘learning points’ you ask us to integrate into the event. 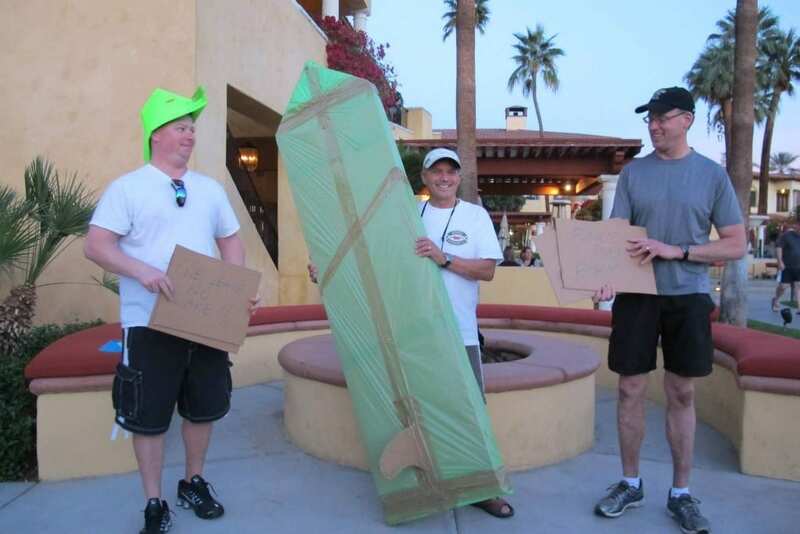 Once your group is broken into teams of 3-6 members, they set to work planning, budgeting, purchasing materials (with imaginary budgets), and designing their very own cardboard surfboard. 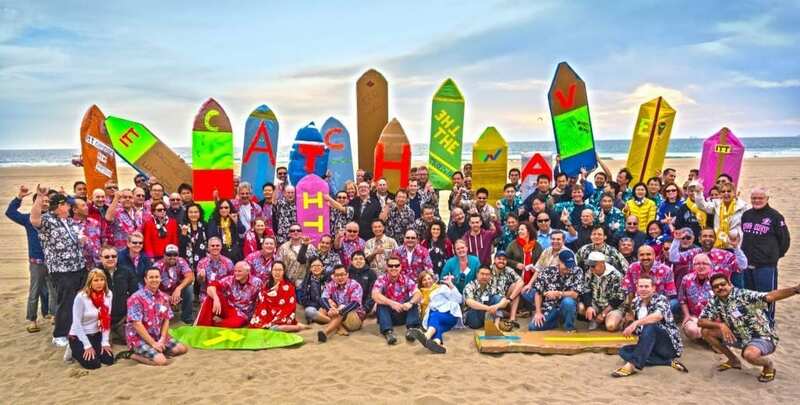 Teams work with budgets, deadlines, marketing presentations, change-orders and unexpected hurdles like changing human assets which they must surmount to achieve success! 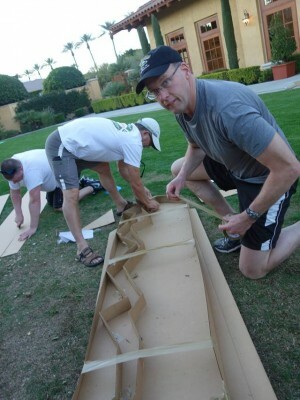 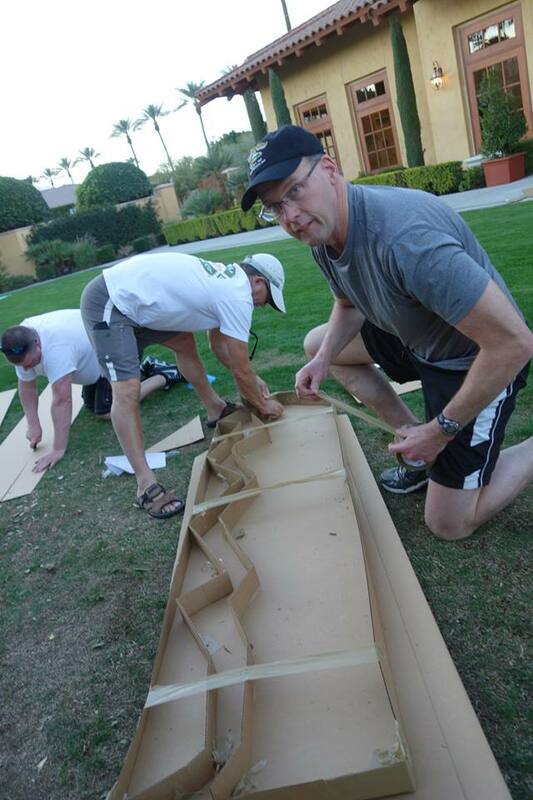 No one is ever left bored or with nothing to do, as teams leverage the creative skills of members for their board design and marketing presentation, while logical, analytical and mechanical skills are used for the “engineering” and construction of the board. 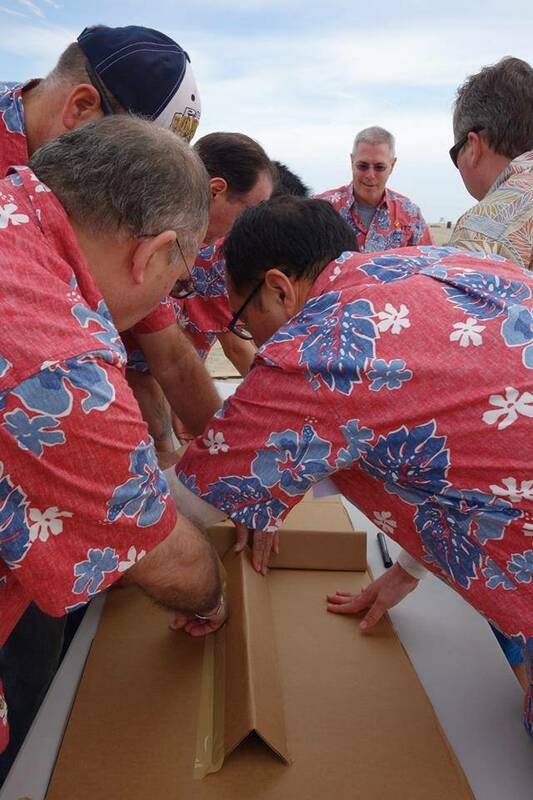 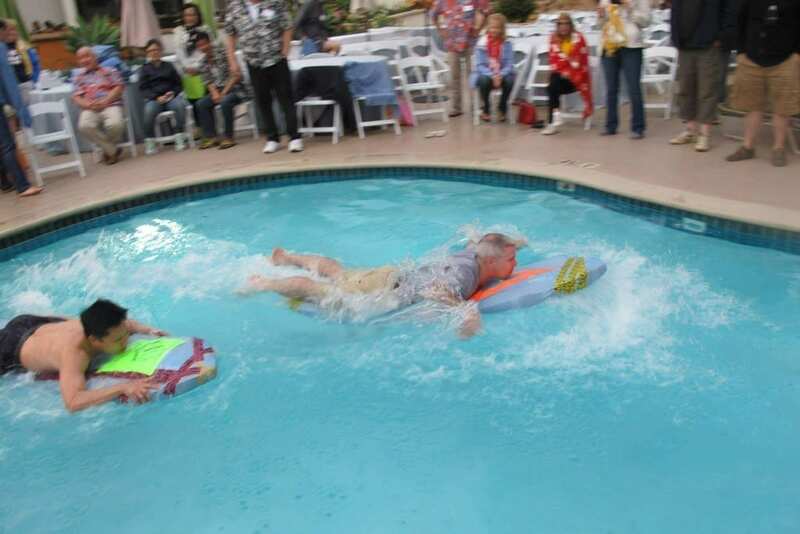 (Don’t worry, you don’t need engineers to build a successful board… we’ve had doctors & nurses, teachers, administrators and programmers, as well as oil rig crews all tackle this event with fun and hilarious results!). 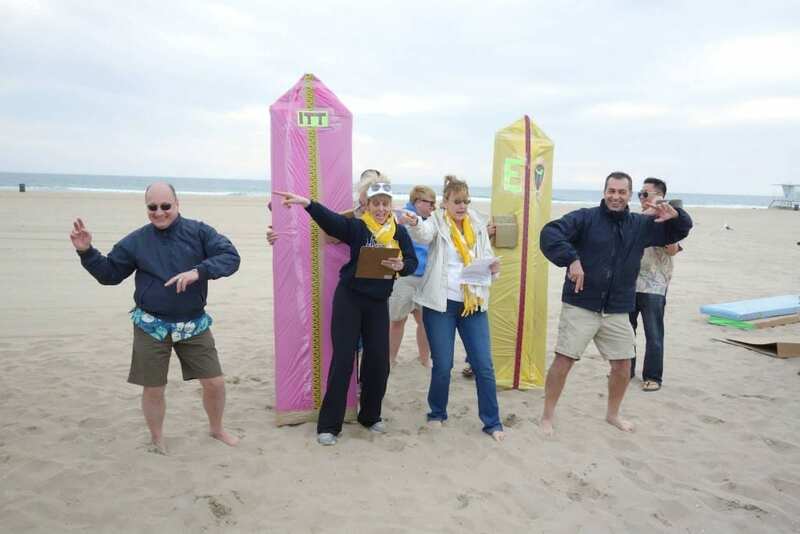 The day builds to the marketing presentations, where team members are encouraged to “get out of their shell” and take risks to create funny, engaging presentations (which make for great photo-ops)! 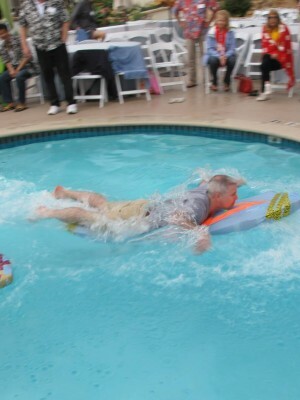 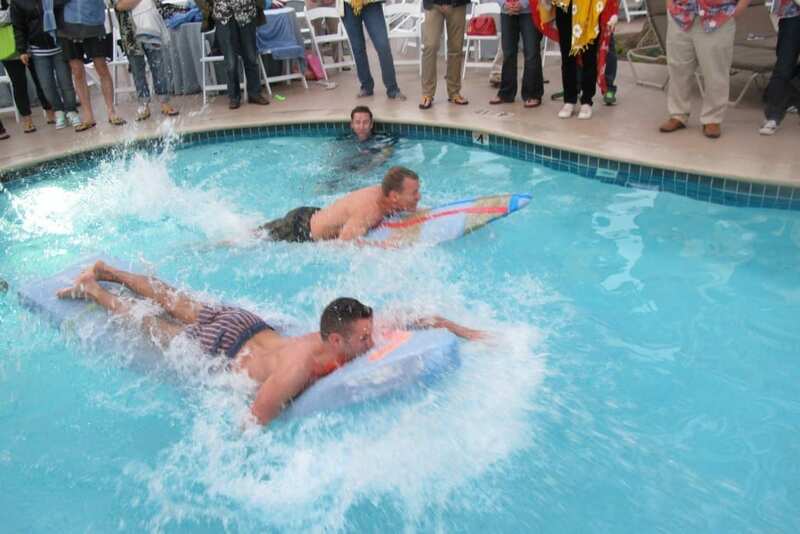 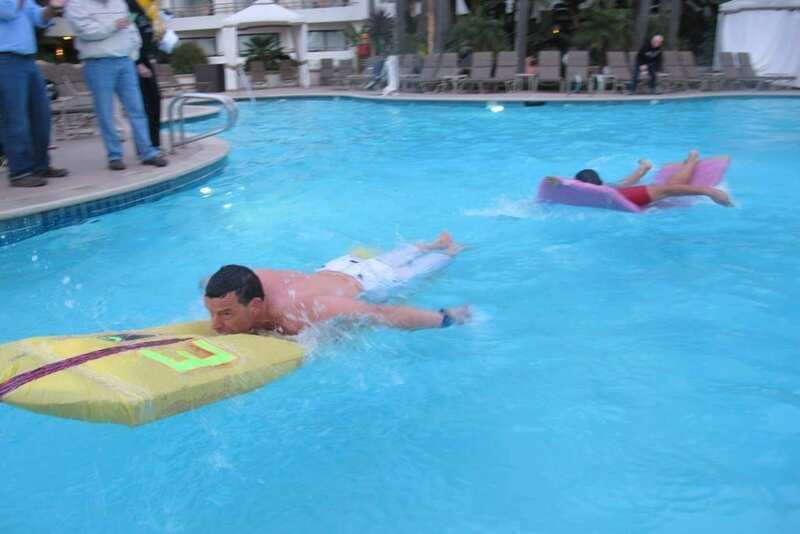 After the marketing, teams test out their boards by racing them in the hotel pool, lake, ocean or other accessible body of water (we can usually work with you and your venue to make this happen). 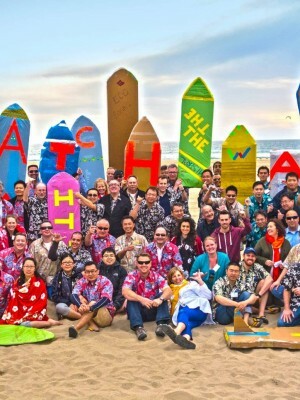 This is a hilarious, fun, bonding event with real-world business take-aways on communication, collaboration, creativity and adapting to change!